I recently read an article about Australian scientists discovering another Cambodian town (Mahendraparvata) in the Siem Reap area, dating back to even further than Angkor. The article made me reread the story of Angkor Wat so I figured – as out of the blue as it is – it would be a great opportunity to introduce it and Siem Reap – the way I saw it. First of all, a bit of history. Angkor was the capital city of the Khmer Empire (modern-day Cambodia) back in the 9th century. 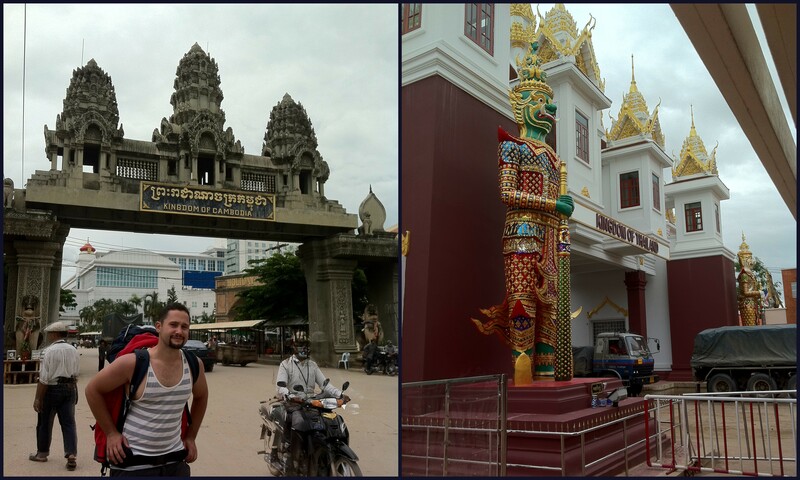 The word ‘wat’ means temple (just like in the Thai language). Angkor Wat, this enormous originally Hindu temple complex was bulit a bit later, in the early 12th century. The Khmer Empire back than was ruling a great part of South East Asia, including Central Thailand, Southern Vietnam and part of Laos. I won’t go into the countless existing theories why and how the Khmer Empire fell – but the influence on the South East Asian region was smashing. Angkor Wat since been used as a Buddhist Temple (from the 14th century to modern days) and is the only temple that was never completely abandoned throughout the long centuries of history. And that is where out story starts. 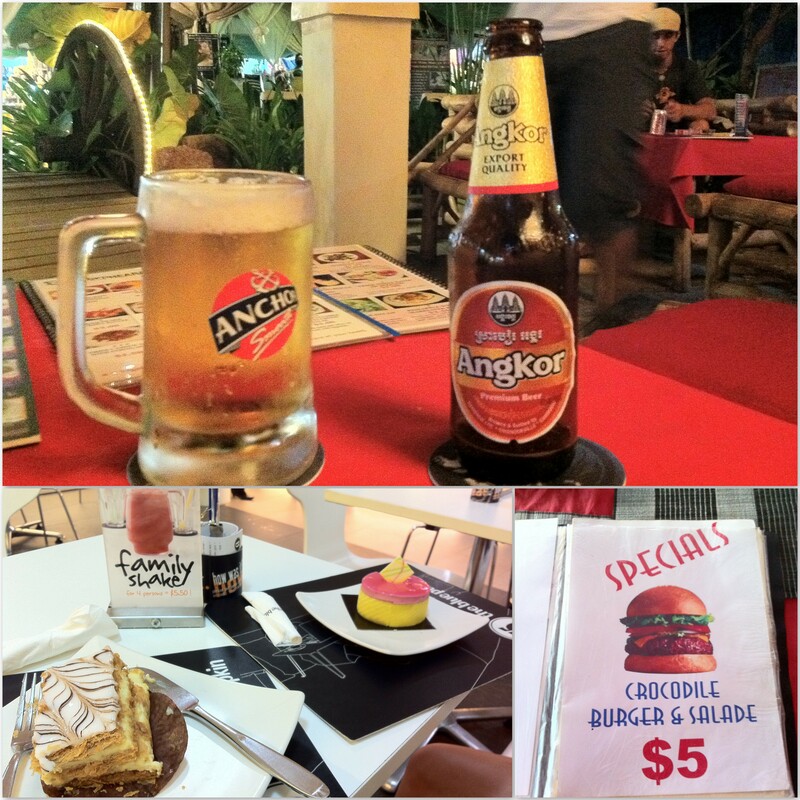 We were having an amazing time on Phi-Phi Island, Thailand, when the monsoon arrived and had to leave quickly. Wasn’t sure what to do, where to go, then after consulting with my world-traveller and all time travel advisor brother, he told us to take a bus from Krabi back to Bangkok and then go to Siem Reap, Cambodia. And that was exactly what we did, and at least we had another day in Bangkok, we were hoping we’d like it more for the second time. Got the tickets on Khaosan Road, and hopped on the bus to Siem Reap, which was about 12-15 hours if I remember correctly. Once reaching the border, we had to get off and manage papers for the visa (20 USD per person). I remember the bus driver telling us that we should take Riel (Cambodians’ currency specifically for themselves…) out using that one and only cash machine that was on the border, as once getting to Siem Reap we can only take USD out. USD was the money of tourists there… A bottle of water may cost 2000 Riel, which is half a Dollar, but for tourists it’d be 1 USD as… why would you pay half a dollar when you can pay a whole? Anyways, so we took out the worth of 5000 Thai Bahts which was around 650.000 KHR. I will never forget our taxi ride to the town of Siem Reap, sharing the taxi with a lovely married couple and their 1,5 year-old son. The Scandinavian mom was very young (she was only a few years older than me, back then I was 19) and the New Yorker dad got sacked from his IT job and he didn’t want to return to the corporate world just yet… so they figured, what would be the best time to travel the world together? Might sound crazy with a 6 months old baby… but the little dude was the calmest kid I’ve ever met, friendly, open and would eat literally anything. What an adventure for that family! A true inspiration to me, sharing their love for travels and planning on becoming a mom way before 25. 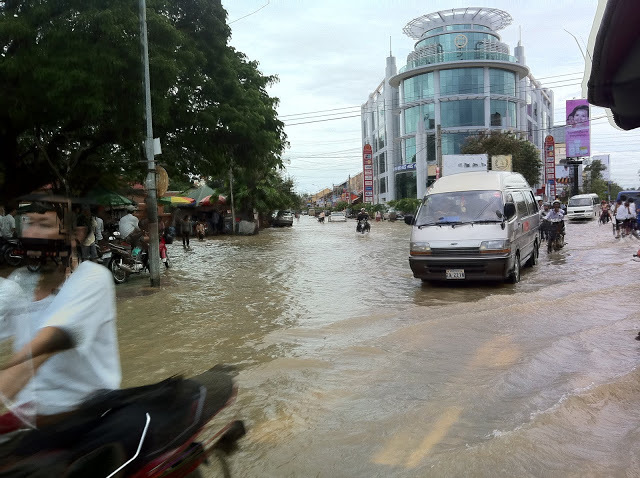 Now, as the monsoon we got caught in on Phi-Phi and Koh Lanta was in Cambodia a few days before (raining for 4 days straight) the town of Sieam Reap was completely flooded. Found a guy with a tuk-tuk who told us he knows cheap accommodation. We got a huge double room for 65.00 KHR./10 GBP, everything was cheaper than Thailand. That evening we headed to town for drinks and the night market where we bought a stunning painting. The nightlife was great, spent all of our evenings/nights on Pub street, where we could chat to the locals and other backpackers in nice restaurants and even nicer bars with SUCH delicious cocktails. And not to forget the ‘happy pizza’ which is for the adventurous travellers… Be aware though, walking along Pub street you will find shady people walking to you asking whether you’d like ‘massage with a happy ending’ or any kind of illegal substances. Under no circumstances you should play with that in Asia, even if they seem extremely easy to get hold of. We tried the ‘happy pizza’ which was pizza with weed on top, it was ok but definitely wouldn’t do that again. There is a greater risk, and the experience is not any better or different than in Europe. 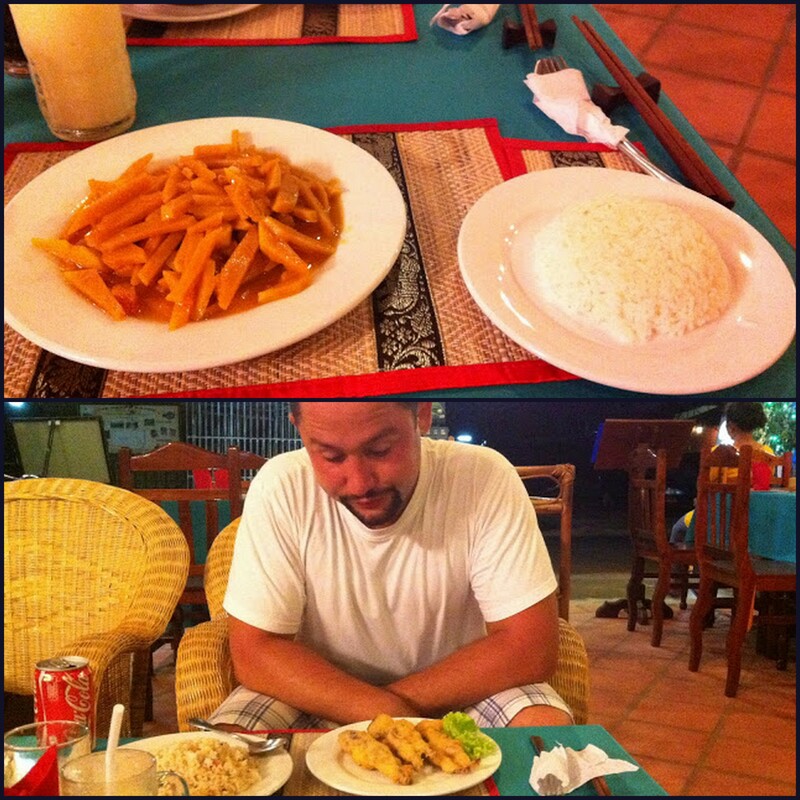 This was the dinner on our very last evening in Cambodia. The pumpkin curry was our shared appetiser which was perfect as I like to eat something sweet before the main dish, so it would help bring out the savoury tastes later on. Greg tried frog legs with lemon pepper and chilli dipping… We both did like it a lot, never eaten frog meat before and it was nicely moist and tasteful. Reminded me of chicken meat, BUT (most cases I dislike chicken) was not neutral or tasteless… The only problem was the very little meat on the bones! The main dishes were two Cambodian currys, the first one was a with lemongrass and other veggies and second was HEAVENLY morning glory curry… The cuisine was only a tiny bit similar to the thai currys and dishes, they do not use chili or coconut milk as widely. Next part of this series will be only on Angkor Wat, stories and background info that we were provided with by the local tour guide.